Unique regional discoveries in Europe and the Americas. 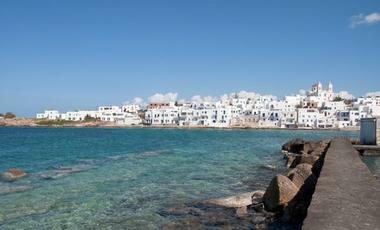 Variety cruises provides an authentic Greek cruise experience with 6 cruise itineraries in Greece and the Greek Isles. The company was voted world's best boutique cruise line by USA Today 10Best readers 2016. Variety Cruises operates 11 boutique-size mega yachts and Motor Sailors. These small ships serve the regions of Greece, Italy, Turkey, the Canary Islands, the Adriatic Sea, Cape Verde, the Seychelles, Costa Rica & Panama, Cuba, Madagascar and Iceland. Variety is proudly one of the leading yacht cruise lines in the world. Thoroughly enjoy and appreciate each port of call with no rush- ample leisure time in each port including many overnights means that you can fully immerse yourself in the culture of each destination from the Greek gems of Santorini, Mykonos, Crete and Rhodes to Adriatic wonders of Dubrovnik and Korcula. Variety ships have swimming platforms allowing guests to swim, snorkel and kayak with multiple chances ro stop and swim in secluded bays. Furthermore, you can look forward to barbecues on deck and private events on shore. 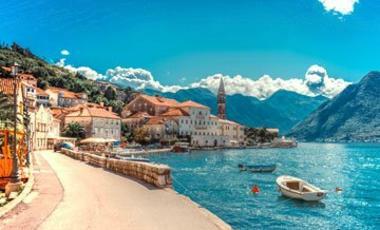 On this cruise guests will travel along the Adriatic coast of Croatia and Montenegro. They will also get to spend the night in Korcula and Dubrovnik to really explore the area. Croatia is fast becoming one of the most popular destinations in Europe. With pristine coast lines, great cuisine, and fantastic weather, there's a lot to love! This cruise will show the best of the Greek Islands. The Galileo will take you to Santorini , Mykonos, and Athens amongst other destinations. The trip included an overnight stop on Athens. As with other major tourist destinations, it's worth planning your time there in advance to save time and money. 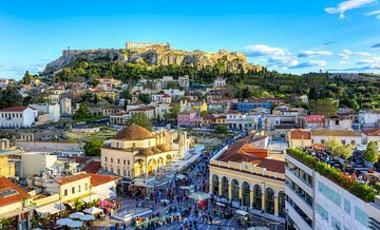 This 8 day cruise on the Galileo will take you all across Greece to ancient destinations liek Athens, Katakolon and Delphi. 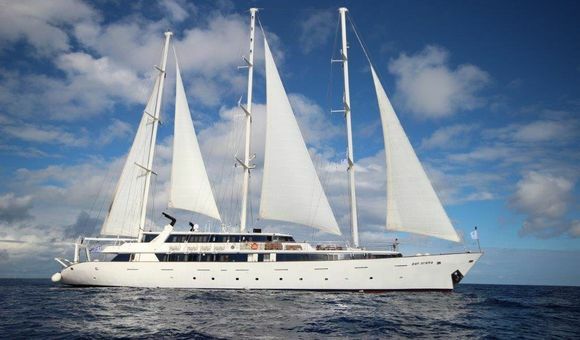 The Panorama is a charming three masted motor sailor which offers the highest levels of comfort and safety. State of the art facilities on board and the exciting itineraries offer you the most incredible cruise holiday experience. The Harmony "G" is a modern vessel with a sleek high-tech, offering you a very similar atmosphere and comfort to the private yachts to be found in the famous ports of the world. The word variety truly encapsulates all that Variety Cruises represents. It is the world’s largest small ship cruise company and was founded in 1949, giving it over 60 years of experience. Variety Cruises uses this experience to full effect in delivering its passengers intimate cruises as part of a yacht-style escapade. Variety Cruise possesses a stunning fleet of 11 streamlined vessels which range in passenger capacity from just 8 to 72. This small ship size offers a host of advantages for passengers in terms of the on-board experience, which is cosy and friendly, and in the nature of excursions, which is unique as the smaller ships can dock right in the heart of quaint ports which are inaccessible to more cumbersome vessels. Variety Cruises allows passengers to experience the world in an authentic manner and in doing so passengers get more than a vacation – they partake in a truly enriching experience. Think of the ship as a floating haven to which you can return to after a dynamic day of exploring the most culturally, historically, and architecturally rich places on the planet. With between 4 to 36 cabins, you will feel more like a privileged guest than a passenger aboard ship. All cabins are decorated artfully with a casually elegant feel, and the discreetly elegant service will ensure you want for nothing night or day.